MR. TRAVEL BRINGS TO YOU OVER 40 YEARS OF EXPERTISE AND TRAVEL EXPERIENCE FOR ALL YOUR TRAVEL NEEDS. Specializing in Greece, Turkey & Mediterranean our team is here to make your trip like no other. 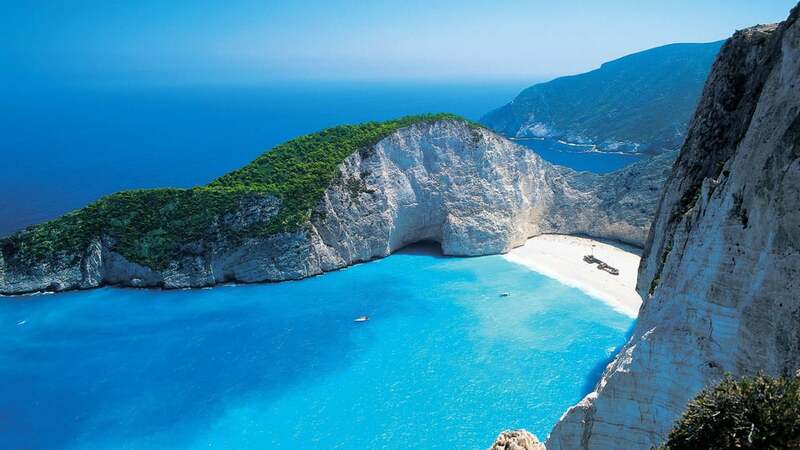 We can arrange a family holiday on the Glorious Greek Islands, a romantic Greece & Turkey honeymoon, Greek Island hoping, Greek Island Cruises and custom packages to fit your specific needs. Your pleasure is our pleasure and this is why our staff of professionals are awaiting to help you plan your dream vacation. Our representatives in Greece & Turkey are the country’s largest tour operators with offices in all major cities, both on the mainland and on the islands. We have exclusive allotments for selected hotels and on cruise ships, thus giving you the sense of relaxation and the security of not having to worry about your travel program. We are dedicated to providing you with the best services at the best price. Please look through our web site and allow us to make your dream vacation a reality. Contact us with all your request, questions and travel needs. First Rate Travel Insurance Available. Click here to book travel insurance. The Ionian Islands are splendid, cinematic paradise. The waters are bluest blue, the sands are achingly silky and smooth. Everything looks heavily Photoshopped. But that's just Mother Nature, in all her unspoiled glory. Start your dream vacation in Zakynthos with 3 nights at Zakantha Beach, the largest of the Ionian Islands, and it's as fruitful as it is beautiful, boasting a bounty of crops like olives and grapes. Our concept of “Hellasticity” offers you total flexibility in your program. Unlike most operators offering “package” tours, our program gives you the option to choose components individually, including choice of departure dates and length of stay, as well as the knowledge and security of being totally cared for by MR. TRAVEL, while you’re enjoying a truly carefree odyssey. We also do Greek Car rentals! Rhodes, Corfu, Kos, Myconos, Naxos, Samos, Paros, Crete. Rates include tax airport surcharge, licenses and fees . We provide car rentals all over Greece’s mainland and islands. For long term special rental rates and speciality car types please contact us for the lowest prices.